During the month of October Bizzarro BMX went on a fall tour conducting two clinics, in Raleigh, NC and Albany, GA. What made this tour special were our two special guest instructors, Matt Kelty (Kovachi) and Alaina Henderson (Felt). Participants had the opportunity to train with both the Men’s and the Women’s 2011 NBL Elite Pro champions. Our clinics were well received, with all the participants and their parents walking away with not only some new gained knowledge, but some new hero’s also. Riders received product samples from PowerBar, Finish Line lubricants and Fly Racing, along with stickers from all of our team sponsors. Our tour concluded in Orlando, Florida for the ABA’s 2011 Disney Cup race. Three days of national racing and team competition saw us finish with a win, a tie for second and a third place. Overall scores for the weekend were added up and we were declared the 2011 Disney Cup Factory Team Champions! 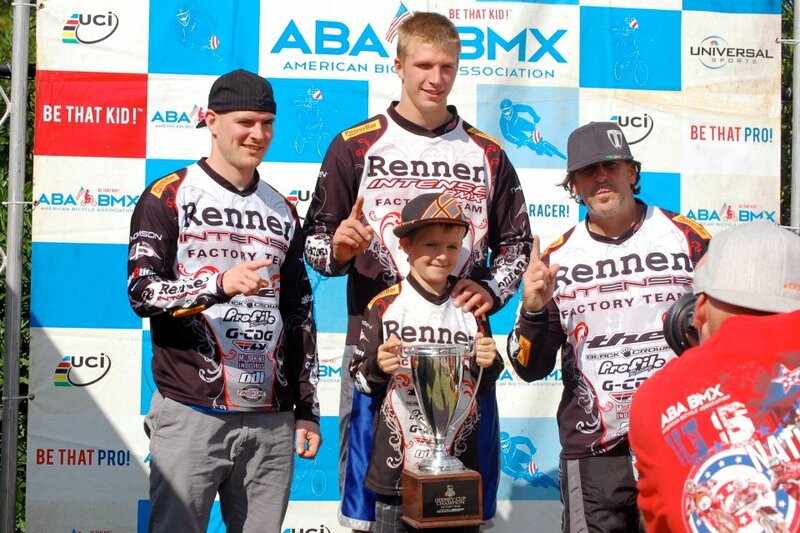 4 Individual team riders were also Disney Cup Champions, Lance McGuire, Nate Coyman, Max Egdorf and Shawn DiPrete.